The Final Solution by Michael Chabon - O! 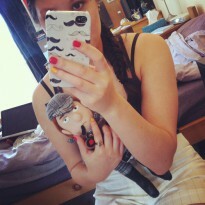 what Man will do fore a Rime! Note: The review below was taken directly from my Goodreads account. The Final Solution is about an old man, once a famous detective but now resigned to old age, who decides to solve one last mystery: the case of a missing African parrot belonging to a young Jewish boy refugee from Germany during the Second World War. If it wasn't obvious, the title alludes to Sir Arthur Conan Doyle's story "The Final Problem" in his Sherlock Holmes stories, and also the Third Reich's Final Solution of the Jewish question. Chabon does a great job in emulating Conan Doyle's writing style and it shares much of the same feel. The characters are given surprising depth for such a short novel, the mystery of the bird itself and the boy's backstory are intriguing, and the culprit is quite unsuspecting. 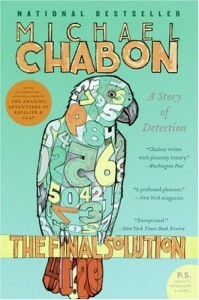 However, where Chabon falls short is the unresolved mystery of the boy and the bird. It's pretty obvious that the old man will find the bird thief, but the blurb promised me a "wrenching resolution" to the boy and the bird's story and I don't think I got that.